Molecular diagnostic company ArcherDX announced it has entered into a research collaboration with the University College London (UCL) and the Francis Crick Institute to use ArcherDX’s proprietary Anchored Multiplex PCR (AMP) technology to detect evidence of disease recurrence in lung cancer patients using cell-free circulating tumor DNA (ctDNA). The research is part of the Cancer Research UK funded UCL-sponsored TRACERx clinical study (TRAcking lung CancEr evolution through treatment (Rx)). The new collaboration will seek to build upon earlier findings in the TRACERx clinical study that indicated changes in ctDNA burden after the initiation of therapy has been associated in clinical literature with poor disease free survival. These findings were detailed in preliminary findings of the study published in Nature and the New England Journal of Medicine in 2017. ArcherDx, UCL and the Crick Institute teams will look to expand these original findings by developing patient-specific assays based on anchored multiplex-PCR (AMP) technology to detect low-volume minimal residual disease (MRD) to characterize the phylogenetic and neoantigen landscape of relapsing NSCLC. 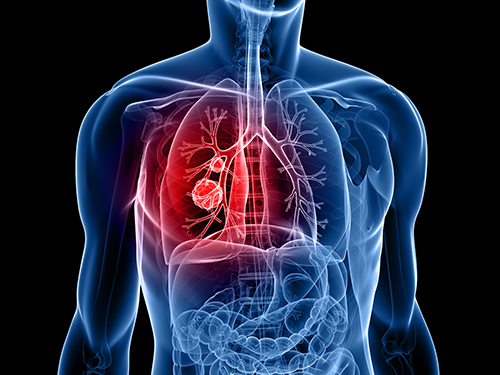 “As we expand upon and progress our research, exploring lung cancer in an unprecedented level of detail, this collaboration with ArcherDX will help towards achieving our goal of a more personalised approach to developing cancer treatments,” said Professor Charles Swanton, M.D., Ph.D., lead researcher for the TRACERx study in a press release announcing the collaboration.